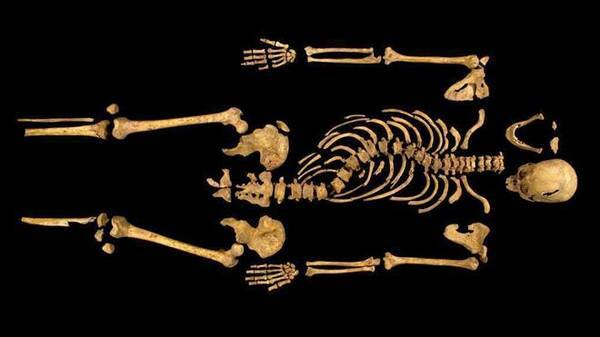 Confirmation of the discovery of the remains of King Richard III. The death of this man at the Battle of Bosworth in 1485 was the foundation of the Tudor dynasty. Had he survived, the reformation may have taken a different course in England. At the press conference the lead archaeologist said confirmation was, “beyond a reasonable doubt”, but in the press release of the University of Leicester he referred to it as an, “academic conclusion” – there’s a big debate in the gap between those phrases. On the whole I doubt any serious challenge. 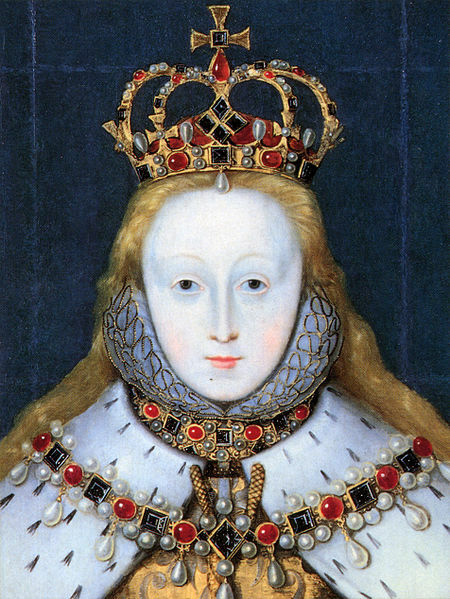 Thursday 3 am .. 24 March 1603 .. death of Queen Elizabeth I .. The writer of this account was a Catholic spy who went by the name of Anthony Rivers. His identity is uncertain, but it’s believed he was William Sterrell, secretary to the Earl of Worcester. As such, he was at the heart of the royal court (de Lisle, p.39). The Queen hunteth every second or third day, for the most part on horseback, and showeth little defect in ability, albeit her face and other parts resembling old age, argue no little decay. A country woman viewing her in the progress, told her neighbour standing near her that the Queen looked very old and ill; one of the guard, overhearing her, said she should be hanged for those words, and frighted the poor woman exceedingly. A few months later Rivers seems to have relied on detailed medical opinion: the following account appears in an intercepted letter, which was probably intended for Robert Persons – it tells of the queen’s decline a fortnight before her death. This story of Elizabeth’s death is the most vivid and by far the most controversial. It was written by one of the queen’s maids of honour, Elizabeth Southwell, who was sixteen or seventeen years old in March 1603. Southwell’s information is a mixture of first and second hand. There is no doubt she was close to the event, and she probably was privy to intimate details that would have been kept from those outside the queen’s household. There are strong elements of superstition here, which make for a spooky read. In my view the most controversial part is the denial of Elizabeth’s approbation of her successor, and in fact this account was used in religious polemic to question the authority of James I as king of England. Southwell’s account was written four years after the event, so that’s a big factor in deciding what weight to give this evidence. The link to the source includes a discussion on the reliability of Southwell, and addresses the criticisms of her account by JE Neale. 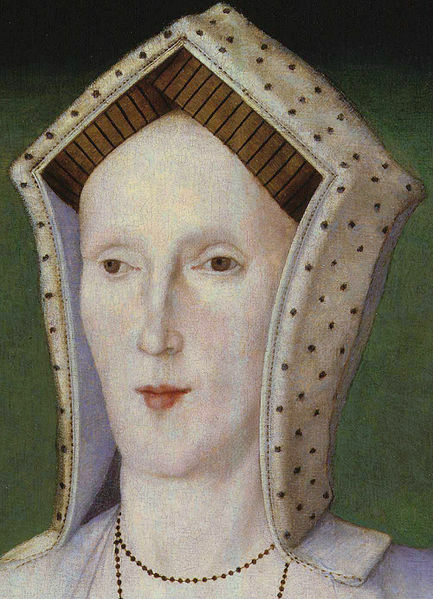 The old lady was Margaret Pole, Countess of Salisbury and last of the Plantagenets. She was put to death about the 28th of May 1541. The countess was a significant figure in the hellish game of succession to the English throne, and this grisly event has received much comment over the centuries. But what is the source? We know of two accounts by foreign ambassadors to the court of King Henry VIII. This story of Elizabeth’s death comes from John Clapham, formerly clerk to Lord Burghley, the queen’s principal secretary for most of her reign. Burghley died in 1598, so by this time Clapham had probably lost his intimacy with the royal court. He does admit his information is second hand, and from internal references it seems he was writing in November 1603, about six months after the event. Clapham’s comment on reports of the queen’s death-bed approbation of her successor – “Sure I am they did no hurt” – shows a safe pair of hands. But he does relate some vivid details, especially the queen’s fairy-tale reckoning with mortality: “she had a great apprehension of her own age and declination by seeing her face (then lean and full of wrinkles) truly represented to her in a glass, which she a good while very earnestly beheld: perceiving thereby how often she had been abused by flatterers (whom she held in too great estimation) that had informed her the contrary”. The version below is from a secondary source, ie. it’s an old copy of the original manuscript in the Sloane collection.